He’s REAL. He’s RAW. He says everything you’re thinking! Meet Trent Jackson, a Los Angeles native who is a relentless, triumphant warrior that has fought and overcome the perils of life. By using creative expression as his weapon of choice, Trent has whipped and polished himself into a decorated soldier of strength and inspiration. With the experience of life under his belt, Trent cultivated his vibrant and empathetic personality within a natural talent for storytelling into an inspiring, authentic, emotionally gripping, gritty, captivating body of work. It was real life experience and personal accounts that pushed Jackson to go against the grain by completing and independently publish his first novel “At This Moment” and its sequel “Full Circle”. The novels confronted sexuality, sexual abuse, self destruction, body image, family, self validation, and the combination of a robust seasoning of being an African American male in the U.S. “At This Moment” (Winter At 712 Publishing, 2004) has sold over 11,000 copies internationally and created a platform that captivates those relating to him and such experiences. 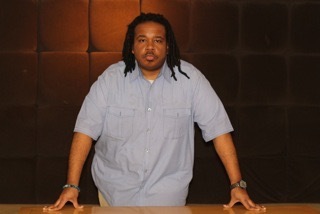 Shortly after the release of his second novel, Trent took a publishing hiatus to focus on several personal endeavors including graduating with degrees in Liberal Arts and Film/Television production from a Top 10 HBCU (Historically Black College and University), The University of the District of Columbia, teaching high school English and working behind the scenes in entertainment to gain invaluable lessons in life and business. Trent currently divides his time between Washington D.C. and Los Angeles while working on several literary and visual projects that he hopes to announce during the fall of 2018.